E.ON and Duke Energy have both announced their plans to develop 200+ MW windfarms in Texas. E.ON’s 220 MW Cranell Windfarm and Duke’s Mesteño wind farm are both expected to come into operation before the end of the year. 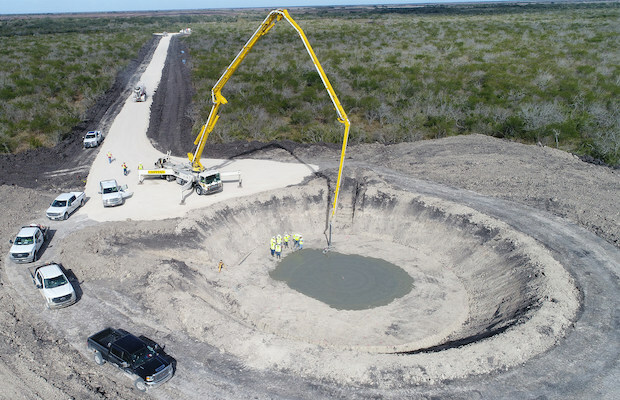 Germany-based electric utility company, E.On has announced that the Cranell Windfarm, a 220 megawatt (MW) project, located in Refugio County, Texas, is under construction and it expects to commission the project before the end of 2019. Duke Energy Renewables, a commercial business unit of Duke Energy, has also announced that it will build, own and operate a 200-megawatt (MW) wind project – Mesteño – in Starr County, Texas. The company’s fourth wind generation facility in the County. The project’s output will be sold into the ERCOT market and Duke Energy Renewables will enter into a long-term hedge agreement covering the majority of the expected wind energy production. The 200-MW Mesteño wind facility will produce enough energy to power about 60,000 average homes.